Home » Watches » What is the Cartier Pasha Watch? What is the Cartier Pasha Watch? 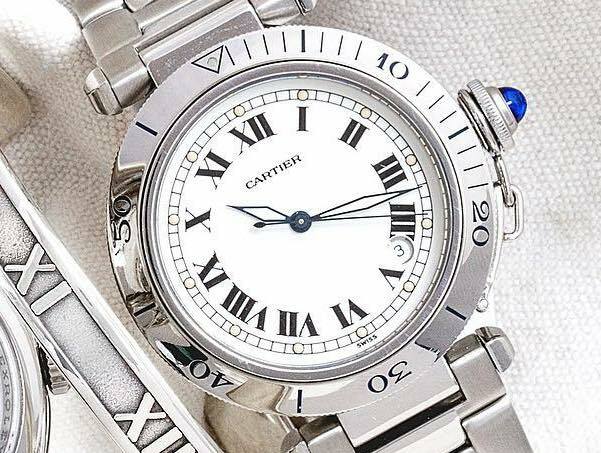 As one of the world’s leading luxury watch brands, Cartier boasts an impressive assortment of iconic designs. 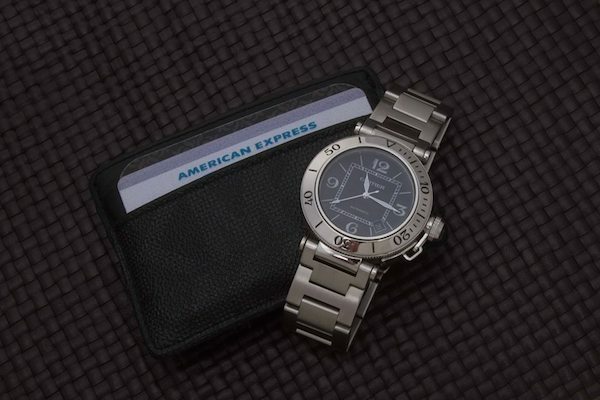 There’s the Cartier Santos watch made originally for a pilot, the Cartier Tank watch fashioned after the military armored vehicle, the Cartier Panthere watch with an instantly recognizable link bracelet, and the modern Ballon Bleu with a curvy bubble-like shape just to name a few. 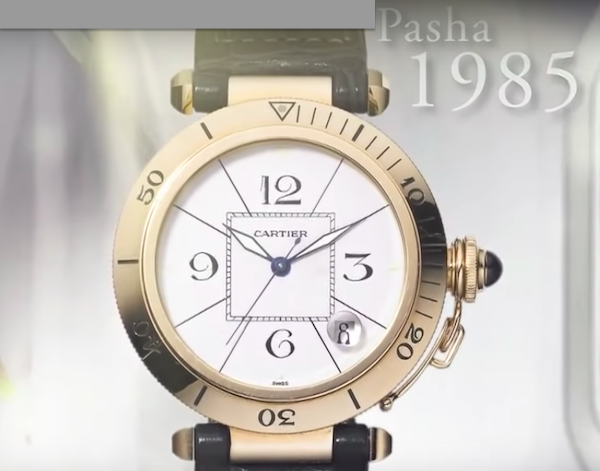 Another famous Cartier watch is the Pasha. Let’s explore the Cartier Pasha watch to discover its origins and have a look at a variety of versions. In the early 20th century, parts of Morocco was a protectorate of France. During this time, Thami El Glaoui, the Pasha of Marrakesh aligned himself with the French. As a result, he amassed great wealth (mostly from questionable practices) during his time in power, and by some accounts, he was the richest man in the world. During his heyday, the Pasha of Marrakesh was a well-known figure among the world’s most elite circles. He counted people like Winston Churchill and Charlie Chaplin as friends and hosted them in his Marrakesh–a city he invested in extravagantly to beautify with palaces, golf courses, hotels, and lavish gardens. According to Cartier lore, in the 1930s, the Pasha of Marrakesh commissioned a watch from the Maison. Aside for a penchant for the finer things in life, the Pasha was also an active man. So he requested that his Cartier watch be elegant, yet capable of being submerged during his regular swims and daily bathing. Water resistant watches were still a new concept during this era (remember the Rolex Oyster only made its debut in 1926). However, Louis Cartier did build the Pasha a solid gold water-resistant round watch. The custom Cartier was fitted with screw-down caseback, a chain-secured cap protecting the winding crown, and a protective grid on top of the face. 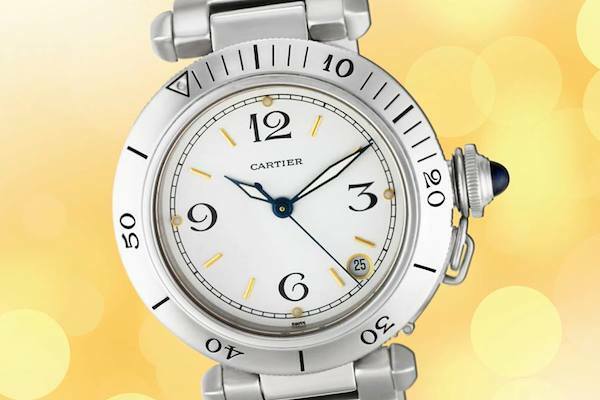 In the 1940s, Cartier added a water-resistant round watch to its catalog, a piece directly inspired by the Pasha’s custom watch. 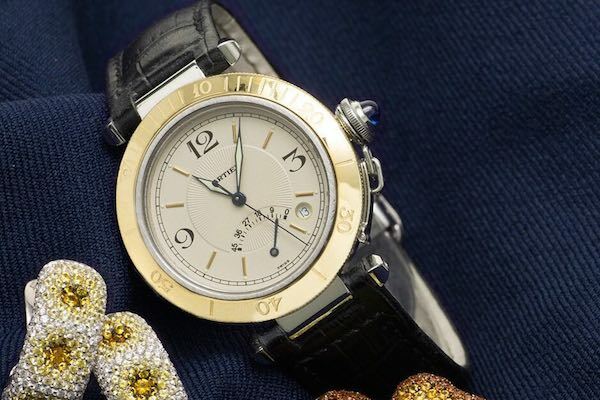 While the fate of Thami El Glaoui’s Cartier watch is unknown, according to a 2003 Robb Report article, Stanislas de Quercize, the President and CEO of Cartier North America at that time, confirmed that Cartier is actively looking for the watch to add to its corporate collection. In the mid-1980s, a top watch designer of the time, Gerald Genta, was asked by Cartier to design a modern sports watch for the company. Modern luxury sports watches were after all Genta’s forté, having already designed the Royal Oak and the Nautilus in the 1970s. Taking inspiration from the vintage Cartier timepiece designed for Thami El Glaoui and the 1940’s water-resistant Cartier timepiece, the Cartier Pasha watch was born in 1985. The maiden Cartier Pasha watch was an 18k yellow gold 38mm round watch water resistant to 100 meters. It featured a chain-link attached to its winding crown, and engraved bezel, and Cartier’s signature Vendome style lugs. Unlike most other Cartier watches, the Pasha did not have Roman numerals but instead, four oversized numerals and stick indexes radiating from the center. Since its introduction in 1985, the Pasha collection has welcomed a vast assortment of models. For instance, Cartier made plenty of stainless steel Pasha editions, emphasizing the sportiness and casual elegance of the Cartier watch. Of course, there have been many gold Pasha watches too–in yellow, white, and rose gold, no less. Then there are the size options too, ranging from 35mm to 42mm. And, some Cartier Pasha watches even come with a removable grille that sits on top of the crystal and screws into the bezel. Furthermore, aside from the standard time and date versions of the Pasha, Cartier extended the collection with other complications too. There are Pasha chronographs, Pasha GMT watches, Pasha Moonphase models, Pasha Perpetual Calendars, and even, ultra-complex Pasha Tourbillon timepieces. Similar to other Cartier models, there’s also the choice between quartz-powered Pasha watches and automatic ones. The Cartier Pasha may have started as a men’s watch, yet the brand quickly noticed that women loved to wear it too. So women’s Cartier Pasha watches were soon added to the mix. Some with diamonds and some without. Particularly notable models are the Pasha Seatimer dive watches with all the requirements of a diver: unidirectional dive bezel, luminescent dial, and 100-meter water resistance. Along with standard metal bracelets, there’s also the rubber strap edition of the Pasha Seatimer. Unfortunately, Cartier no longer produces the Pasha watches. 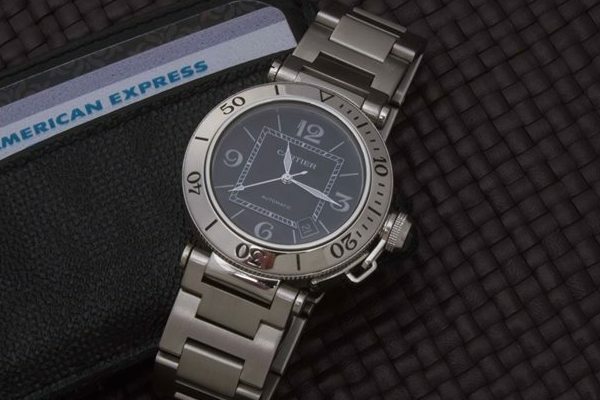 However, given the company’s penchant for reviving icons from its archives, we would not be surprised if this watch makes a comeback in the near future. 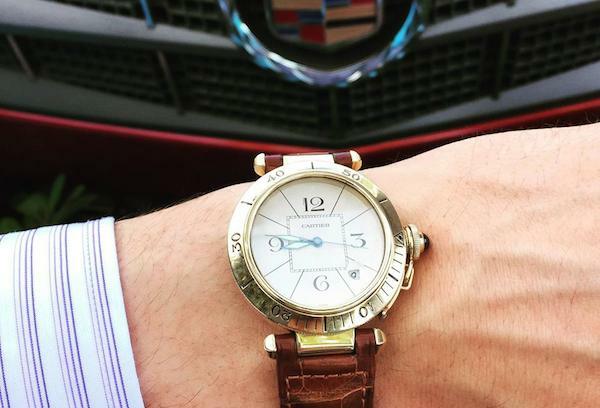 Yet, lucky for us, there are still a wide range of pre-owned Pasha watches in the secondary market to enjoy.